This was meant to be computer screenshot but I don’t have picture on there so I decided to do my phone screens instead. 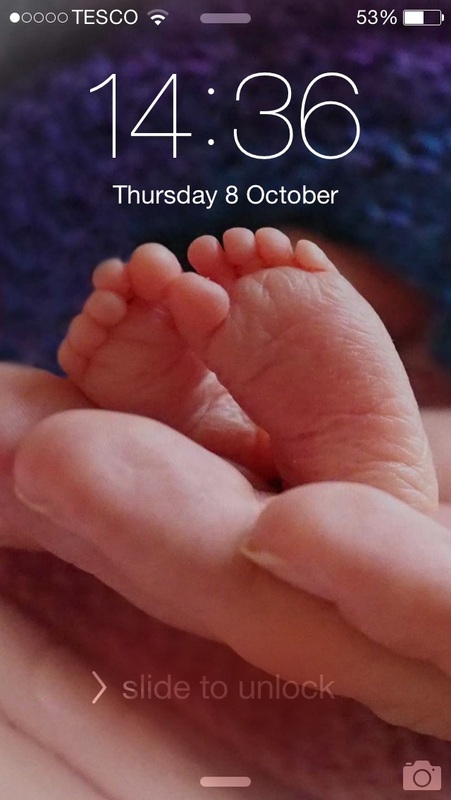 The locked screen is my daughters feet. I love this picture in fact I love baby feet. The other reason is she was stillborn and I don’t want her face up here and someone I don’t even know to see. She’s my special treasure to keep not the worlds. 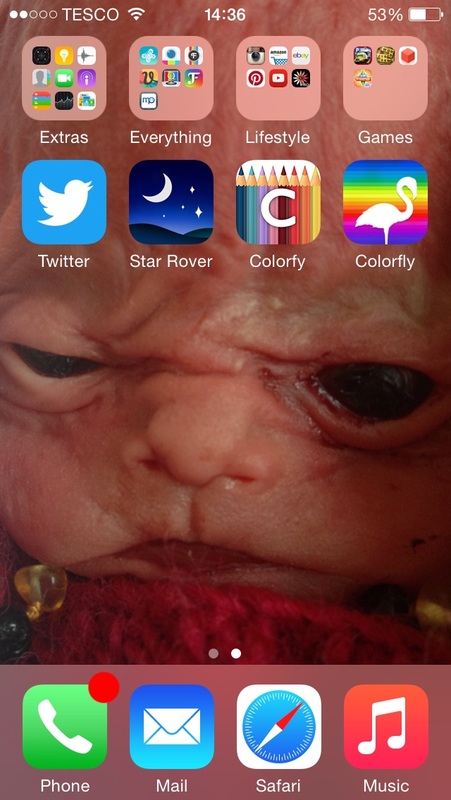 My unlock screen is my daughter but instead I’m showing you my apps. I have some great apps for me that may not suit everyone. Freeprints is a great app you pay postage and get 45 prints free a month! It renews the first of each month. 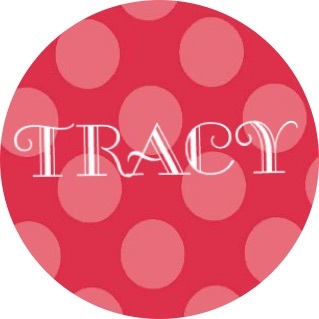 Font candy for adding text and colour to pictures. Pic collage to make collages. Then I have 3 favourite games. 1010 which is kind of like tetris but you can take your time. Sims Freeplay can feel like a commitment sometimes but it’s good fun and fairly easy to leave and pick back up. The last one is Ferry Port where you drive and park vehicles in a port. Star rover shows you what should be in the sky depending where you aim it and 2 grown up colour in apps. I find colorfly (flamingo pic) better for access to colours for free and better value add ons. I also have eBay, Amazon and Pinterest my 3 mostly used apps.